If the travelling life is for you, let visitors to you home know it! 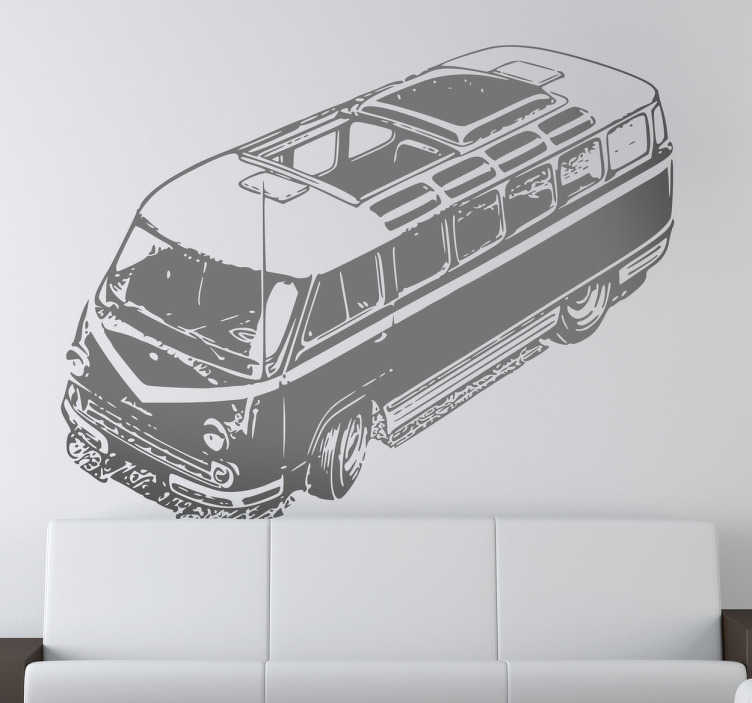 An ideal wall sticker for the bedrooms and living rooms of free spirits and lovers of the classic VW van. A monochrome wall vinyl featuring a vintage style design of classic van, this decal comes in a variety of sizes and is just as easily applied as it is removed! An icon of the 60s can soon become an icon of your home, also ideal as a gift!